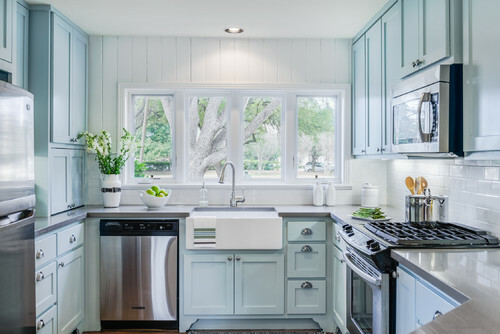 White kitchens are all the rage; to temper the sterility and blandness, most homeowners add gray or perhaps small “pops” of color. 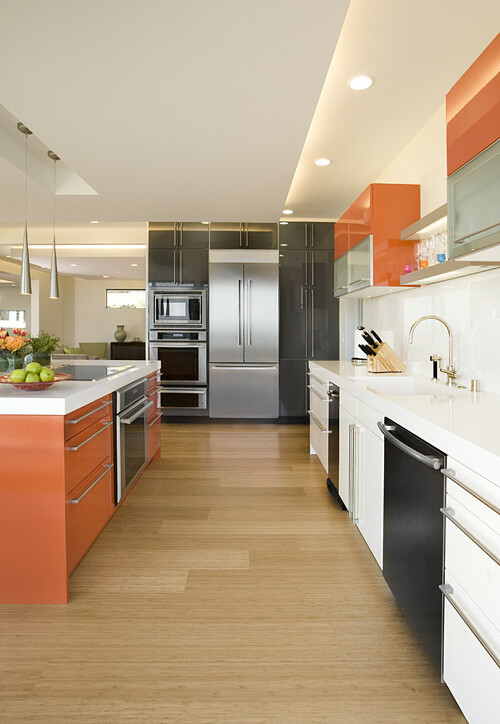 The kitchen is usually a sophisticated decor opportunity and typically done in muted shades, wood, or neutrals. 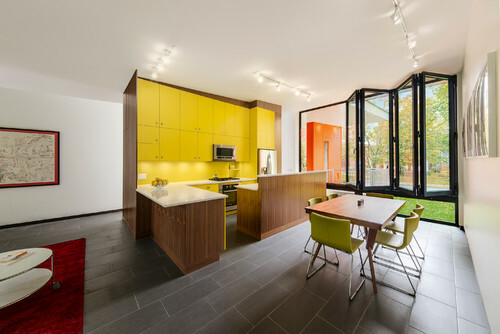 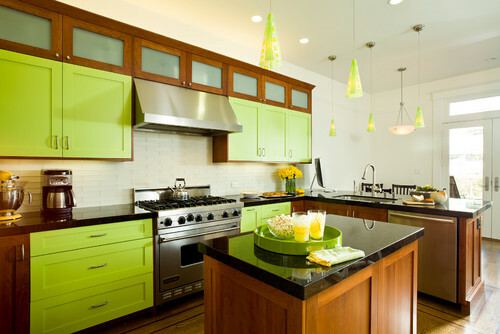 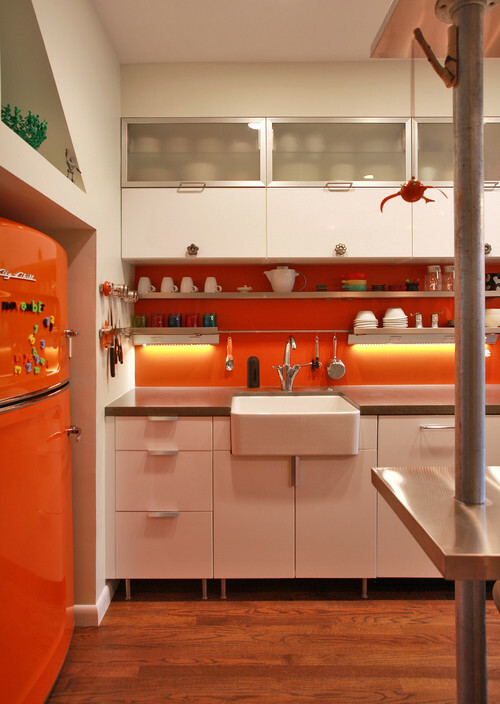 These awesome colorful kitchens, however, are bold, unapologetic, and refreshing. 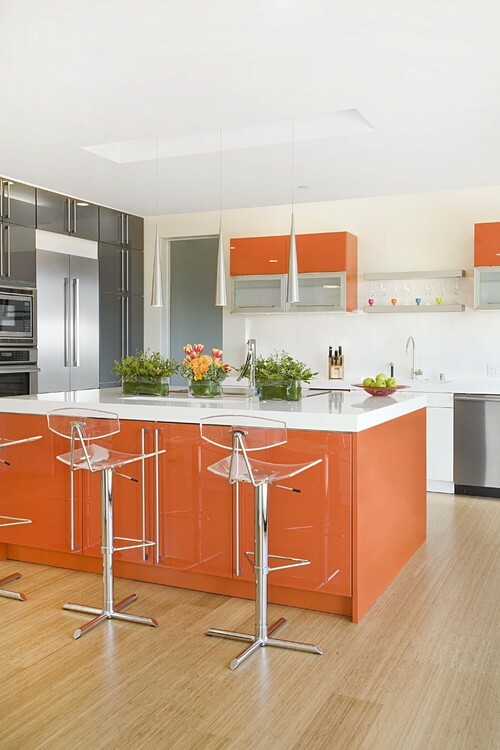 We’ve chosen our favorite kitchens in every color of the rainbow. 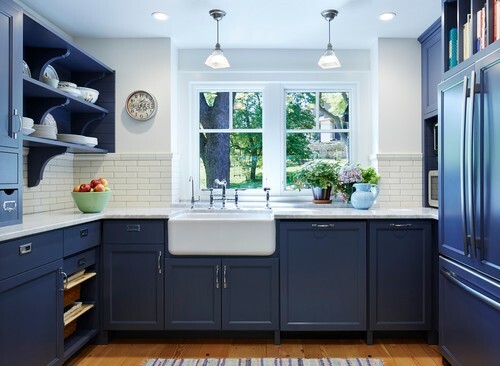 No grays or whites here (unless it’s an accent color)! 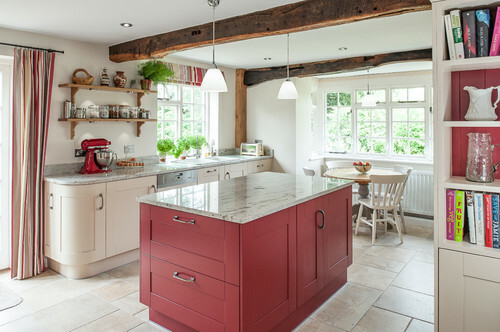 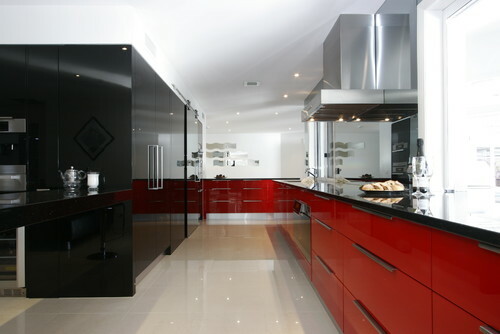 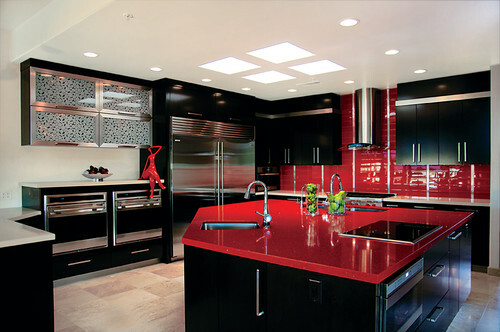 Warm and daring, bright or muted reds are a surefire way to heat up your kitchen. 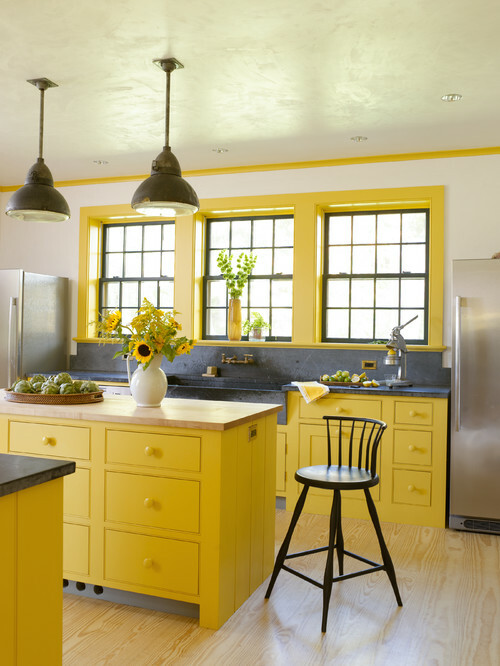 It’s a hotly debated color – you either love it or hate it. 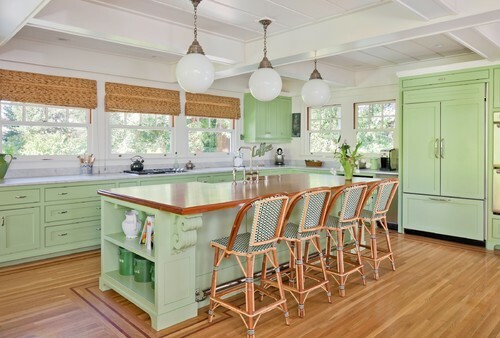 Whatever camp you’re in, these kitchens will make you smile. 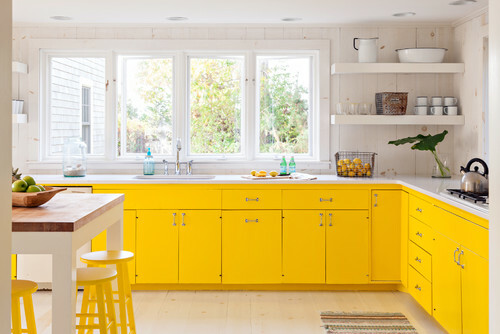 Cheery, sunny, vibrant – every shade of yellow will perk you up long before the caffeine kicks in. 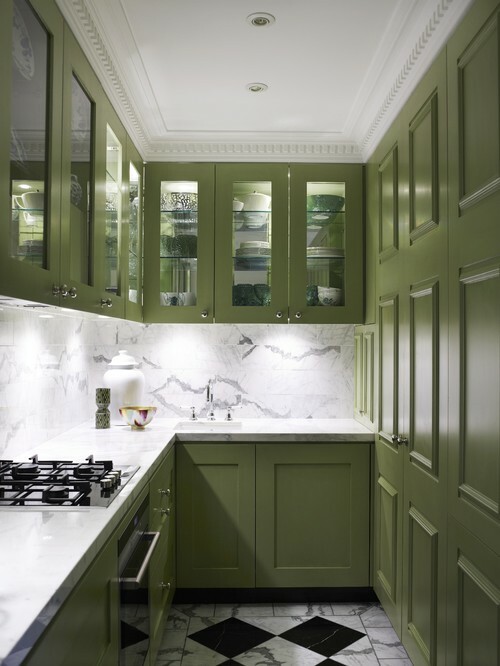 Shades of mint, emerald, lime, or hunter are soothing and fresh. 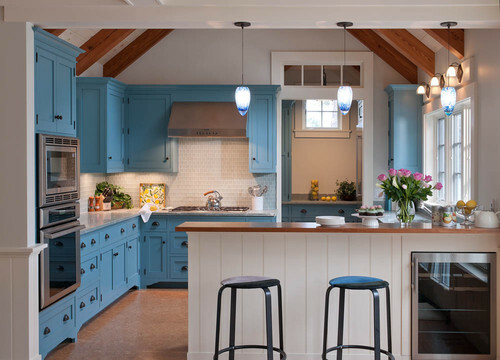 Cobalt, peacock, navy, robin’s-egg… we love ’em all. 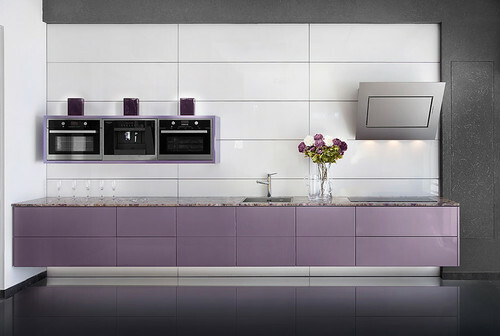 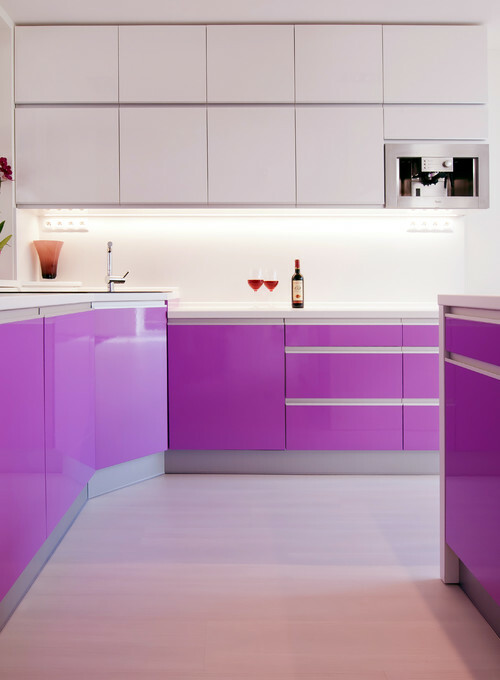 A violet or eggplant kitchen is unusual, but that doesn’t mean it can’t be beautiful.